Both of these shots were taken at the same place at the North Carolina Museum of Art. In the first shot I was including the sky in between the top of the gallery wings and also reflected in the mirrored panels in the exterior building. 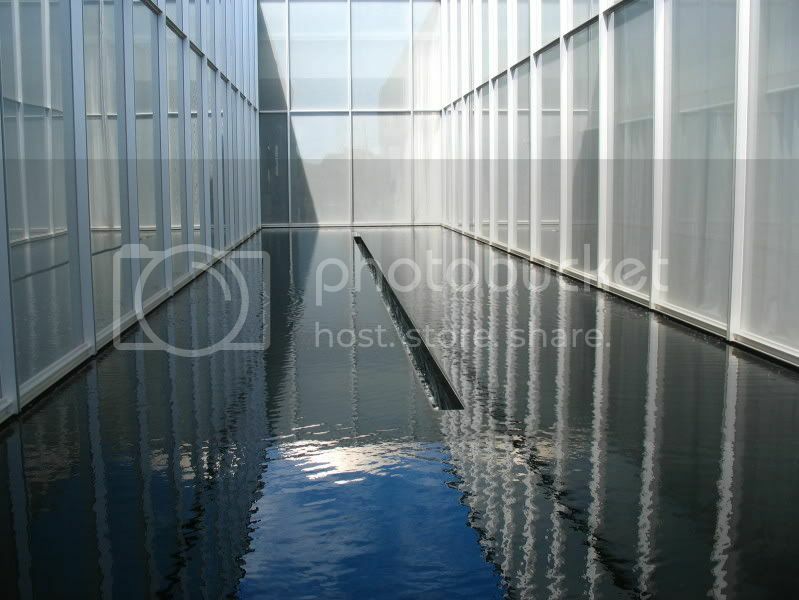 In the second shot I was including the reflected sky in the reflecting pool which is built in outside between the wings. For more sky shots around the world, please visit the home of That's My World Tuesday. Cool idea getting the whole panorama like that. And I really love the "looking up" angle! Cool concept Carver. You can get a lot of skywatch posts from this one visit I'm guessing. Wow I agree with everyone. Its truly fabulous! and awesome! Beautiful shots. In the first one the overhead sky looks as if it is part of the building. Wow! What terrific captures, Carver! Really superb composition! And I love the "looking up" angle, too! Have a wonderful weekend! and i thought this place is in a container van...LOL! but i love the composition of the photos. great shots! Wow I like that open roof shot and the water reflection. Happy weekend! Very artsy shots of the Museum of Art! Reflections, shadows, sky! You caught the lot! Cool shots, Carver! 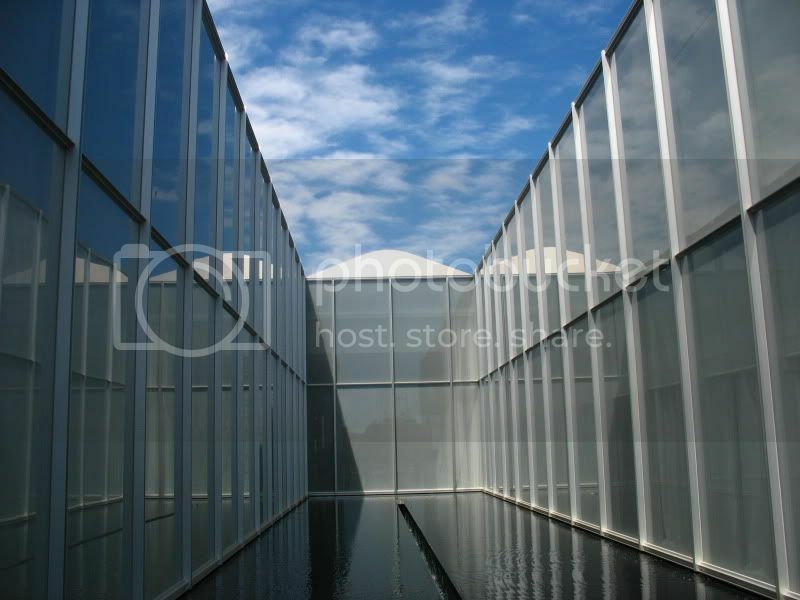 I especially love the sky in the reflecting pool. Fantastic captures. I love both images. Thank you for sharing. That's a terrific perspective for these shots. Both are great shots, Carver! Impressive building. The reflection shot is way cool with all that glass and plainness around and it works well in the skyshot too! Wonderful shots - nice work Carver! Nice blue sky and reflections! Interesting perspectives, Carver, and great shots!! Joining SWF for the first time. This is what you called "all in one shot" perfect for SW, WW, WW, Reflection. you nailed it.